Thank you for registering! Here’s the 136 minute live session with Will Terry, Jake Parker and Mark Mitchell that “aired” live on Thursday. It turned out to be a whole lot more than two mini-lessons! Click here to see the full recording! 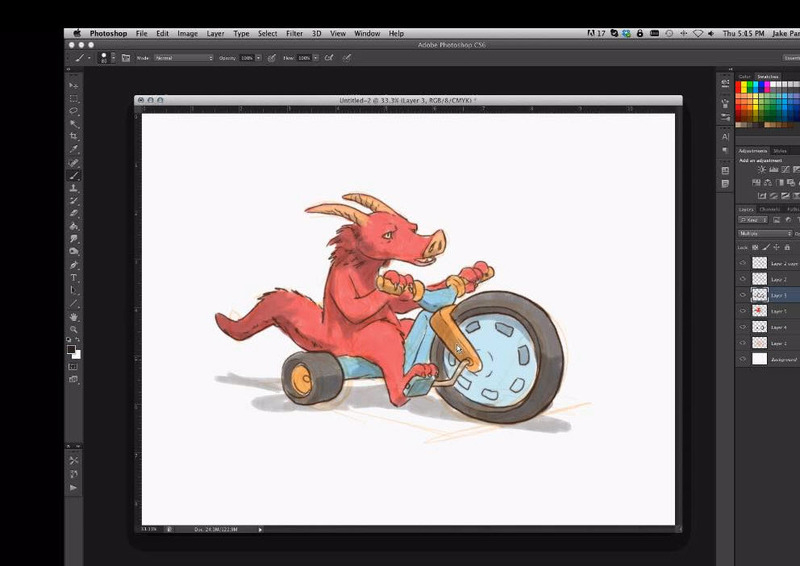 Jake responded to a viewer’s request to see a dragon on Big Wheels, and served up a totally un-rehearsed rendering on his Cintiq screen along with a thoughtful commentary on his drawing and painting process. A compelling Q&A followed the lesson slides and demo. You can download a PDF of the text chat transcript (all that note passing that went on behind the presenters backs in the classroom) here. To enroll in the lite version of their new course, Illustration for Storytellers (the version that still has spots open) go here. 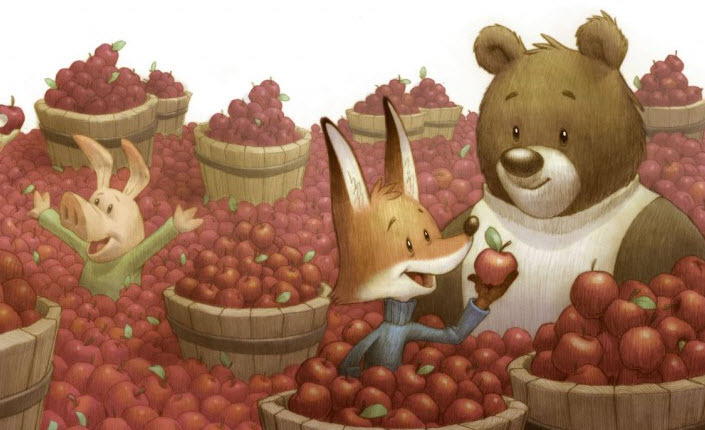 Will is the illustrator and/or creator of several popular children’s picture books (Random House, Scholastic, Simon and Schuster, Houghton Mifflin) and children’s book apps. 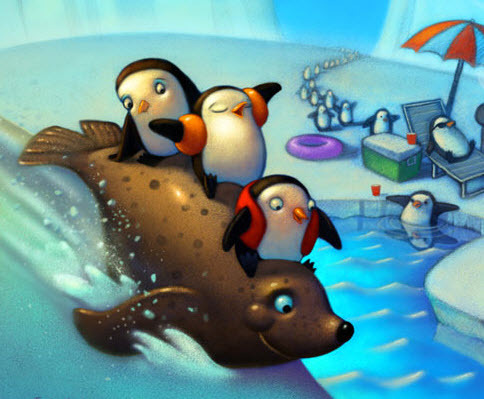 He’s also a free-lance illustrator with work accepted into The Society of Illustrators. 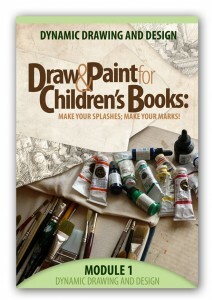 He teaches illustration and painting on two campuses, Brigham Young University and Utah Valley State College. 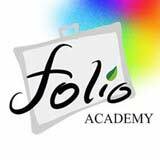 He’s also the co-creator of two popular online art schools, Folio Academy and The School for Visual Storytelling. Jake is a freelance illustrator, designer, and comic artist and the creator of the Missile Mouse graphic novel series published by Scholastic. He’s also created sets and environments for feature films like Horton Hears a Who and Epic. He’s the co-creator of the The School of Visual Storytelling. Again, here’s the video replay. 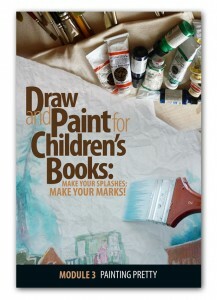 Mark is a children’s book author illustrator and teacher of children’s book illustration at the Art School of the Austin Museum of Art-Arthouse and through his popular online course Make Your Splashes – Make Your Marks. Juan, yes I’ll be sending it out today. Look for the e-mail. I could hear them but teh screen was white? Dayne, try a different browser. Chrome, for example doesn’t always work too well with AnyMeeting.com. Also do you have the latest add-on for Shockwave Flash. I’m sorry the replays gave you a difficult time. I know that’s frustrating. I got so frustrated with the terrible sound and video lags I gave up three times. Never got to hear Jake. I watched using Chrome and it played fine. I really enjoyed this and learned a lot, thank you!